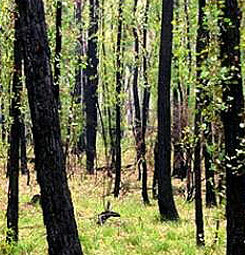 Fire is recognised as a natural and essential requirement for the long-term health and viability of bushland and associated wildlife species in Ipswich. Managing fire in bushland areas is vital for the protection of surrounding homes, properties and structures and important in maintaining healthy, functioning ecosystems and habitats. A key element of fire management is how both residents and Council prepare and manage their bushland areas in order to mitigate risks and aid in ecosystem and habitat management. To achieve this, Council and Ipswich residents must work together for the most effective approach - bushland fire management is very much a shared responsibility. How does Council manage its bushland areas for fire? 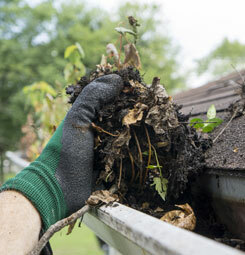 Removing and modifying vegetation through mechanical means such as slashing, manual removal, tree pruning etc. Across the 10 locations that make up Ipswich’s Natural Area Estate, undertaking prescribed burns is a key proactive management tool that may be used to achieve balanced outcomes. Why undertake Prescribed Burns in the Natural Area Estate? What is the bushfire risk for Council’s Natural Area Estates? Council utilises mapping resources to identify areas that have a potential bushfire hazard across these Reserves and Estates. This is combined with other on-ground assessments to identify the risk. This information is used to inform an overarching and streamlined strategic plan that addresses the way the Natural Area Estate is to be managed for fire. High risk areas are prioritised for prescribed hazard reduction burns or other treatments designed to reduce the amount or structure of fuel loads. What areas does Council plan to burn? Table 1 below provides information regarding burns planned within Ipswich’s Natural Area Estate. Estates or Reserves (or parts of) subject to prescribed burns, are closed to the public immediately prior to, during and for a period of up to two weeks after the burn. These areas cannot be booked or used during this time and will be re-opened, where applicable, when deemed to be safe for the public. The general public are advised to keep away from burn sites during this time in order to allow them to recover. During the prescribed burns, smoke may be visible from local streets and areas some distance from the sites. Table 1: Proposed prescribed burn locations for Council’s Natural Area Estate. How are prescribed burns managed? Prioritised burn sites are identified through a strategic approach that considers factors such as (but not limited to) wildfire risk, fuel loads, fire history and fire containment infrastructure. 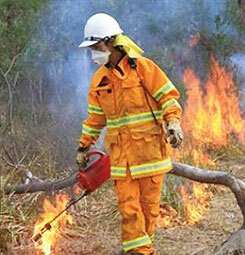 A Permit to Light application is lodged with the Rural Fire Service (RFS). The community is notified regarding prescribed burn plans a minimum of 72 hours prior. 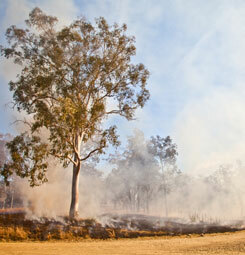 Weather forecasts are monitored to determine the most suitable day to implement the prescribed burn as per the permit. Estates or Reserves(or parts of), are closed and the prescribed burn is implemented. Part of managing a prescribed burn includes collaborating with subject area experts. Council works closely with Queensland Fire and Rescue Service (QFRS) and the Rural Fire Service (RFS) in relation to joint planning initiatives, wildfire response and on-going support for public fire awareness education. Council also supports organisations such as the SEQ Fire and Biodiversity Consortium. This regional working group partners with a range of government and academic institutions to research and implement improved fire management practices. When does Council plan to burn these sites? Council proposes to implement prescribed burns primarily during the cooler months of April through to September. This is generally when ground and weather conditions are most suitable for cooler, controlled burns. This timeframe can be extended if favourable seasonal conditions allow. The right combination of weather (i.e. wind speed and direction, relative humidity and temperature) and on-ground conditions will determine target date/s. Prescribed burns postponed due to unsuitable conditions will be rescheduled to a later date. How will Council notify the public when a prescribed burn is scheduled? Text and/or email notification to registered parties “My Ipswich Alerts” users. This service is FREE. When will the community be notified regarding prescribed burns? Notifications will be dependent on when the prescribed burns are implemented. Generally, residents in a 1km radius will receive initial notification two to four weeks out from the scheduled prescribed burn. How can you prepare for a prescribed burn in your local area? Living in or near bushland poses some level of risk from bushfire. The Queensland Fire and Emergency Services (QFES), as the lead agency responsible for informing the public about bushfire safety, have detailed information on their website on bushfire preparedness. All attempts will be made to limit any smoke, dust, stray ember and other hazards as works are undertaken. Unfortunately, ideal weather conditions for conducting these prescribed burns can also mean that the smoke is not always dispersed well. 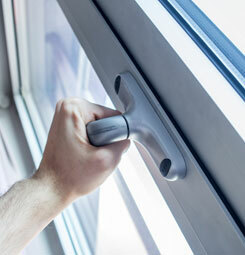 As a private landowner, residents are responsible for maintaining their own property safety and preparedness for fire. The level of fire management required will vary greatly dependent on size and location of the property and the types of vegetation present. How does Council minimise impact on local Wildlife? The direct effects of fire on wildlife are closely related to mobility. Birds and other flying animals can relatively easily escape fire while some species avoid the fire by leaving the area or by taking shelter (e.g. under rocks, in waterways or in hollow logs). The low intensity and inherent patchiness of prescribed burns provides wildlife with opportunities to escape into unburned areas or take shelter. The effects of fire on native fauna are not necessarily negative. Fire can affect animals indirectly through its effects on vegetation and other habitat features. Nesting hollows can be created by fire. Reshooting vegetation provides ‘green pick’ for herbivores such as kangaroos, wallabies and insects. Increased levels of flowering and seeding follow fire as well as denser and more diverse vegetation as rejuvenated species compete for light and released nutrients. In long-unburned locations, aging vegetation may lose its productivity and some species move elsewhere while plants which depend on fire to set seed may perish. Property owners with bushland can also email council@ipswich.qld.gov.au to enquire about access to Conservation Partnership Program opportunities including fire and property management planning. Images on this page supplied courtesy of South East Queensland Fire and Biodiversity Consortium, photographers include G.Leah and C. Welden.